Find out about Scene's work in community energy and energy access around the globe. We work in community energy, energy access and energy focused research. Spanning everything from local energy systems in the UK to innovative technology solutions in India and Africa. We are playing a part to achieving Sustainable Development Goal #7 and are strong supporters of the local ownership of energy systems. To find out more about our various fields of work, follow the links below. We support communities throughout the UK to develop plans and projects. Our expertise spans from feasibility to operation across a variety of renewable technologies and scales. We offer in-house project management, environmental assessment, resource assessments and design engineering, alongside various economic services, including financial modelling. Our work has encompassed innovative technologies and approaches, including shared ownership, local energy systems, geothermal district heating and supply side innovation. We have particular expertise in stakeholder engagement, managing complex and challenging project delivery. To find out more about our projects, please see our consultancy page. 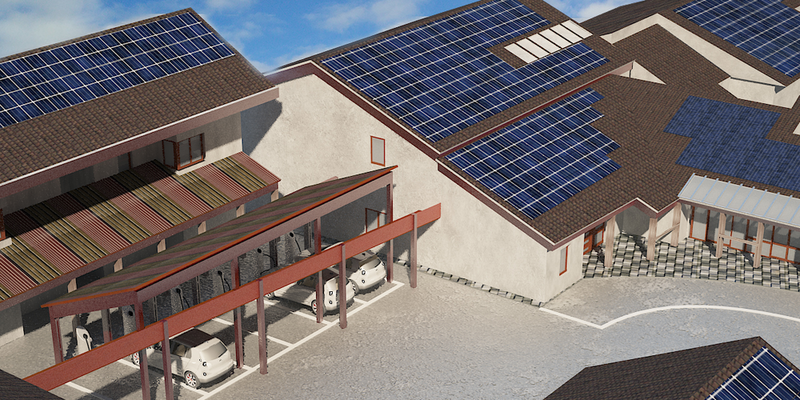 The off-grid, clean-energy market is projected to be worth $12 billion annually by 2030. It is growing rapidly to fill the ‘energy gap’: globally there are over 1.1 billion people living with no electricity and many more with inadequate access; a further 2.7 billion still use harmful solid fuels for cooking. We have developed smart systems that aim to bridge this gap and support the provision and legacy of clean, renewable sources of energy. Our products allow local businesses to monitor and control their renewable energy assets, as well as to collect data to improve oversight and organisation of market systems. Our team brings a rich blend of skills and experience to the table, covering econometric, geospatial and sociological analysis in community energy and energy access. We have collaborated on research projects with clients and collaborators around the world. We hold an extensive database of community energy projects that can be made readily available to researchers in the context of a research collaborations. See our most recent publications and reports.